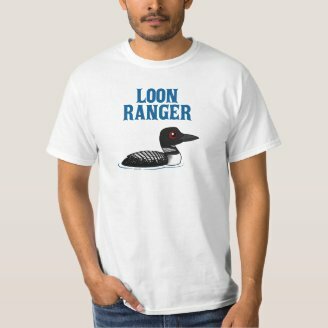 This new t-shirt design is great for those who live up north and love to observe Common Loons or anyone who conducts loon surveys or runs annual looney birding trips. 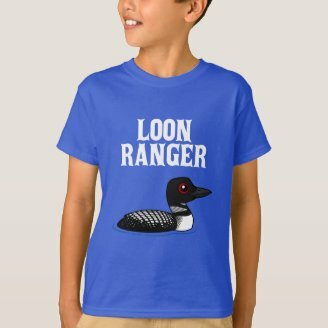 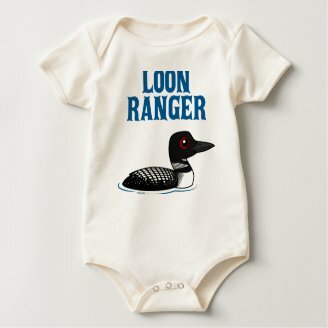 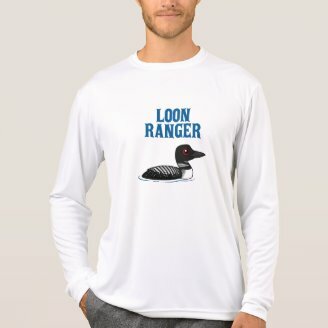 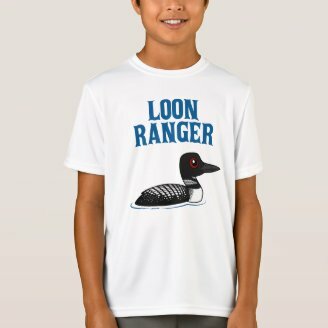 This cute cartoon design features our Birdorable Common Loon with the funny spoof text "LOON RANGER". 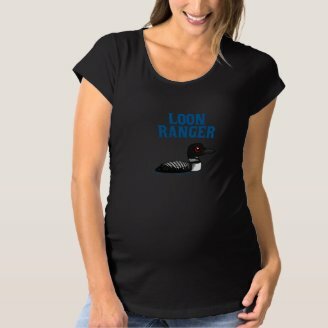 The design is shown here on a women's American Apparel t-shirt and is available on many different t-shirt styles and colors. 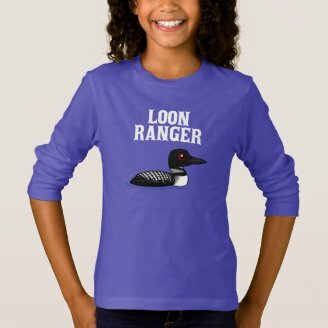 Check out our other Loon Ranger products to find the perfect gift for the loon (lover) in your family.